Being a member of Russian Union of Artists since 1996 Alexandrovsky is a constant participant of a project “Holy lands of Russia” which is devoted to the national holy spots around Russian Federation. Many of them have found reflection in his artworks. Also the painter is a member of art group of Union of Artist called “Enchanted Pilgrim”. 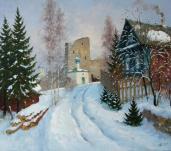 Every year a group of artists travels to the very old towns of Russia for discovering and learning about distant life of remoted places of the country which gives a perfect opportunity for them to work “plein air”, find the very true colors and express the love for native land in painting. 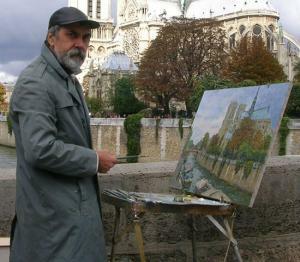 During his art career Alexandrovsky participated in various art exhibitions locally, around the world including the one of New York Academy of Art in 1989. The painter continues his contribution in different art events on the regular basis. 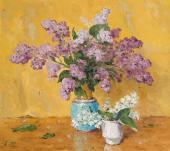 Private collections in Russia, Spain, France and USA are proud owners of his paintings. In St. Petersburg “Moyka, 100” Exhibition Centre owns his works in its permanent collection.